Important: This app is based on yearly subscription model via in app purchase and what you're downloading for free is a time limited full featured trial. 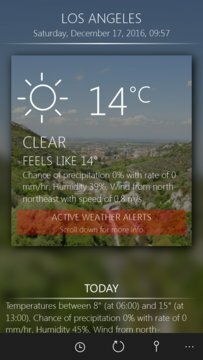 Discover the weather in a simple and beautiful way! Avoid the meteorological concepts' clutter and enjoy a straightforward weather presentation by MeteoLens. 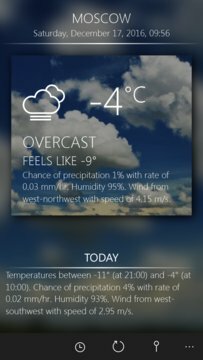 This app displays weather information for almost every part of the world, relying on the hyper-local weather data by Forecast.io - the data source of the popular iPhone app The Dark Sky.